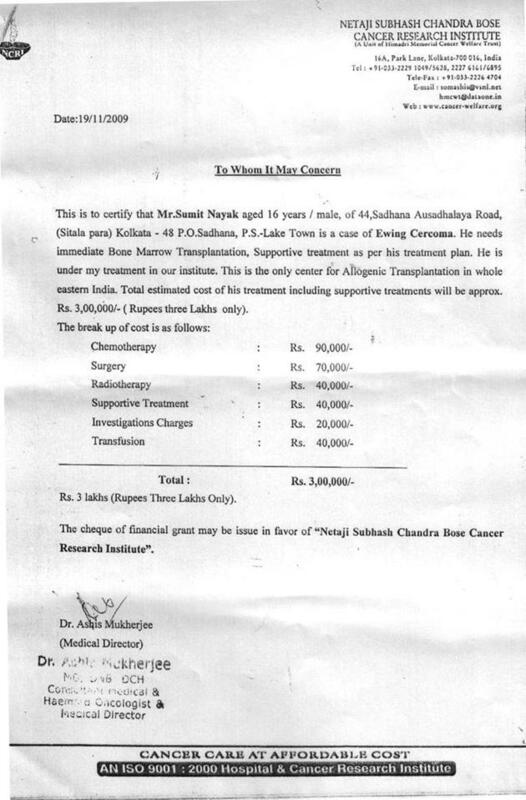 This is to inform you all, that Sumit Nayak age 16 years class IX student of BIDDHANNAGAR GOVT HIGH SCHOOL has been detected with Ewing's sarcoma (a type of bone cancer). The disease has relapsed for the second time and he is currently undergoing treatment which is, needless to say, very expensive. The estimated expenses for the treatment is around Rs 3,00,000 and that has put the family in considerable financial hardship. As ex-students of the school let us come forward and extend our helping hands to the family in the hour of great distress. 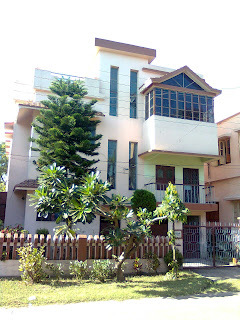 Branch Address: BD 17 , SECTOR 1, SALT LAKE CITY , KOLKATA 64. 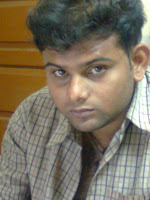 Pls revert with any comments/suggestions on the above. Thanks you all for your support and I hope that together we can make a positive difference and help bringing Sumit back to normal life. After a long break, this is the new session of my blogging. I'm very irregular about this.Tody I'm going to write about the Saraswati puja, "BANGALI ER BOSONTO" .. In our primary school level, we wrote about the essay about Saraswati Puja. So we have enough idea about it. But this is just for recalling those things and something about Hindu mythology. It is said that a characteristic feature of a Bengali is his/her inclination towards fine arts and literature. Many believe that this talent is gifted to him/her by none other than Goddess Saraswati, the Goddess of wisdom, learning and supreme knowledge. If literary abilities, verbal skills and creativity come naturally to Bengalis then there is no wonder that they are devout worshippers of Ma Saraswati, the symbol of absolute truth! Bengalis, who first find a mention in the atharvaveda around 1000 BC, are the most ardent followers of the goddess Saraswati who is arguably the mother of the Vedas according to Hindu mythology. 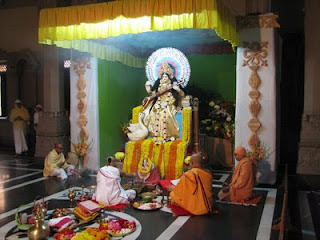 Bengalis worship Goddess saraswati on the day of ‘Vasant Panchami’ (the spring festival) which is actually the fifth day of the ‘Magha’ month of the Hindu calendar. As per Hindu mythology, on this day,Goddess Saraswati, daughter of Lord Shiva and Goddess Parvati was born. Saraswati Pooja is normally enacted during morning hours amidst chants of ‘mantras’ and ‘shlokas’. Pooja is performed by using sandlewood, ghee and burning of ‘agarbattis’ and incenses of various types. The idol of the deity is wrapped in a white sari, she holds ‘Veena’, an Indian string instrument and books in her four hands and sits on a white lotus, a symbol of purity while having a white swan as ‘Vahana’ a sign of righteousness! Among other fruits, ‘Kool’ or Plums are offered to the goddess and later eaten as ‘Prasad’. Bengalis don’t eat Plums before Saraswati Puja as an age-old belief. 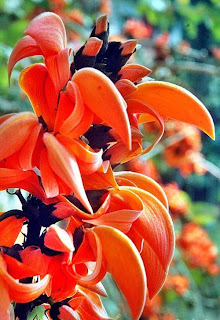 ‘Palash’ flower blooming in the spring season forms an integral part of this Pooja. ‘Aamer Mukul’ or the mango flower, another occurrence of the spring season is also an essential element which is placed on the ‘ghat’ or the small pot in front of the deity. After Pooja, Bengalis eat a vegetarian meal of ‘khichri’, ‘torkari’ and ‘bhaja’ along with 'chatni’. Bengalis wear ‘Vasanti’ or orangish yellow clothes on this day to mark the beginning of the season “Vasanta’ or spring and also to represent the colour of the blooming mustard flowers in the fields of Bengal. In earlier days this colour was home made from the stems of the ‘Shiwli’ flower, by a natural process and clothes were dyed using this colour. This occasion is also very auspicious for the students as they don’t study for the day and keep their study books near the feet of the deity for her blessings which they believe is essential for their exams. In earlier days they also used to keep their inkpots and bamboo quills for her blessings and used to write ‘Aum Namo Saraswatyai Namah’ on ‘Ber’ leaves with them. Goddess Saraswati is the Goddess of mystic sound and clarity of thought. 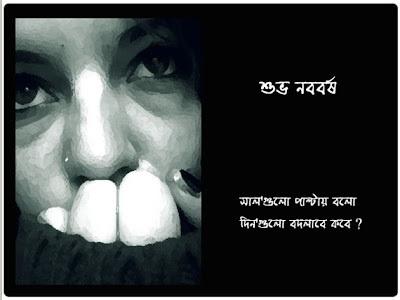 Bengalis believe that she has endowed the human beings with the power of speech. Bengalis thus celebrate a function called ‘Haatekhori’ on the same day where kids are made to learn writing for the first time using slate and chalk. The priests make them write the spiritual word ‘Om’ in front of the Goddess. Schools and colleges organize special prayers for this occasion for the students. Many visit the beautifully decorated ‘Pandals’ amidst fun and gaiety. After a full day of celebration, the idol is immersed in a nearby river in the evening in a quiet way unlike the other major Bengali festivals like Durga and Kali Pujas. The Saraswati Pooja is one of the most important socio cultural events after Durga Pooja in the Bengali society and perhaps one of the few religious events that still invokes the excitement and passion of the young and new. This day is like a reunion to us. So we all are waiting for this. NSS ( National Service Scheme) organised a Documentary competition about some social issue in our college,BCET Tech fest.This was submitted by me. Fortunately it took the second place. "NEW BLOOD FOR THE WORLD"
A patient needs blood after a major accident in which there is loss of blood. No major surgery is performed without blood as there is bound to be blood loss. On an average, for every open heart surgery about 6 units of blood is required. In miscarriage or childbirth, cases the patient may need large amount of blood to be transfused for saving her life and also the child's. For patients with blood diseases like severe Anaemias especially Aplastic Anaemias, Leucaemias (blood cancer), Haemophilia (bleeding disorder), Thalassemia etc. repeated blood transfusions are the only solution. In many other situations like poisoning, drug reactions, shock, burns, blood transfusion is the only way to save precious human life. transmit very dangerous diseases to the recipient. It is illegal to take blood from any professional donor. (2) REPLACEMENT DONATION - Healthy relatives and friends of the patient give their blood, of any group, to the blood bank. In exchange, the required number of units in the required blood group is given. (3) VOLUNTARY DONATION- Here a donor donates blood voluntarily. The blood can be used for any patient even without divulging the identity of the donor. This is the best type of blood donation where a motivated human being gives blood in an act of selfless service. Any person within the age group of 18 - 60 years with a body weight as minimum 45 kgs, and having hemoglobin content as minimum 12.5 gm%. So what about the next? The global theme for 2010 will be - Young Donors, with the slogan"New blood for the world" It hopes that a new generation of idealistic and motivated voluntary unpaid blood donors will form a pool that provides the safest blood possible for use wherever and whenever it is needed to save life. Youth will, therefore, be the focus of the day. 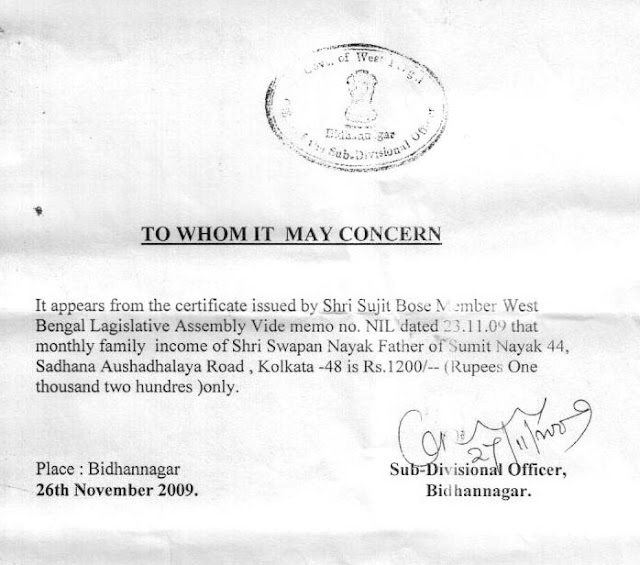 20 th September 2009, the day of recollecting the sweet memories. This year the reunion of Bidhannagar Govt. 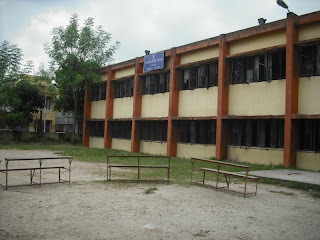 High School was organised by the 2008 passed out batch. It is like "fire pawa". The venue was the place which is witness of growing friendship, love and hope. The event name was very appropriate, "return ticket". 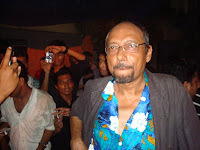 This year the main event was with Anjan Dutta, the great singer in Kolkata. The program was fabulous. the young age, the "pawa , na pawa" was the theme of his song which was really appropriate with the reunion programme. I enjoyed the whole day. The organizers have really done a great job to make us nostalgic. This year the reunion committee have take a very serious venture to revive the school alumni association.It is a long procedure and we need everybody’s help. We are trying to form a body with at least one representative from each batch. And also we are building a database for all future correspondence and other activities. We the 8 samples share the whole flat. 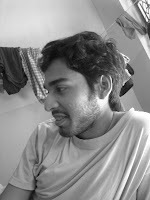 Soumyadeep Basu: This is our Jamai. The Baba of our mess. A responsible mess mate. "ektu confused"
The terror of our mess. Not only our mess, the whole para aware of his "dustumi". 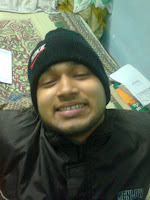 He is my golu golu room mate GABLU.He is from CSE discipline. Our Tirtho is the topper of our mess. 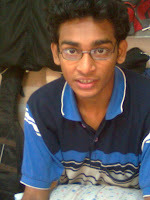 He is form EEE department. mojar chele. 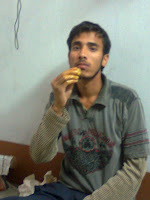 He is one of my good frnz.He is from my department. A simple boy. 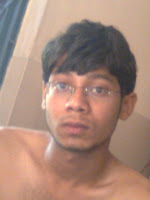 I am reading in 3rd year in Bengal College Of Engg. And Technology in the disciplin Information Technology.I have completed my higher secondary education from Bidhannagar Govt. High School.I am very happy with my family & my friends. WELCOME TO DORPON. SHARE YOUR EXPERIENCE WITH ME.